Erik Hörömpöli was one of the winners. Erik has a blog which you should check out. I've replicated his blog post here. I’m still pretty new to the scene of software testing conferences, only went to my first ones this year. I was so curious already, that I paid everything for myself just to go to the first #EuroTestConf and the #CopenhagenContext. 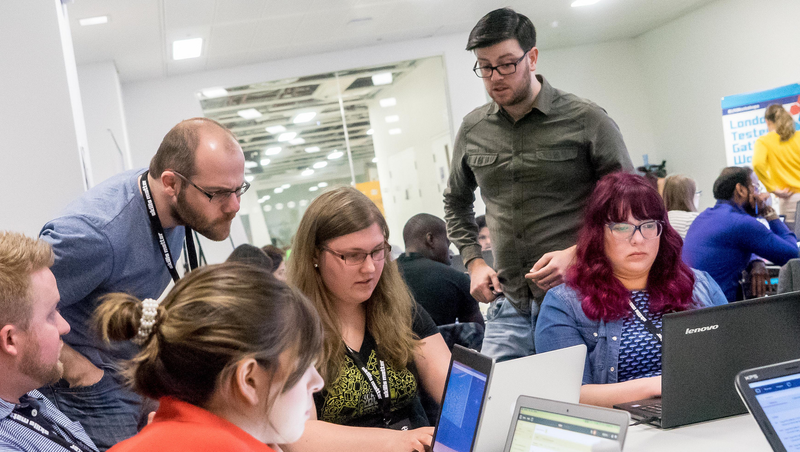 Amazingly, my next conference was through winning a competition by Tony Bruce (http://dancedwiththesoftware.blogspot.hu/2016/01/london-tester-gathering-workshops.html). By going to London I was in for a different kind of conferring. 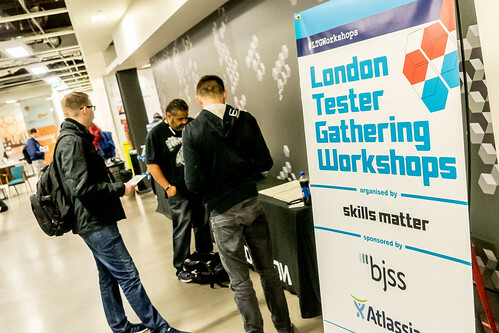 London Tester Gathering Workshop (https://skillsmatter.com/conferences/7219-london-tester-gathering-workshops-2016) is organized by Tony and his friends at Skills Matter and solely built upon hands-on workshops and discussions with practical exercises . Sounds great, huh? Not only sounds. Skills Matter/Code Node venue fits very well for such an event, with easy orientation and different sized rooms. Before the sessions we raised our hands saying which sessions we want to go to and were distributed easily. And they have cool people as staff! I was approached by at least three of them during the two-day event asking about testing or feedback for the event/venue. Much of this is for later practice, as it happens often on a conference, being there is great to have the information or contact persons who you can go to (do I need to introduce the https://testersio.slack.com/? You can chat with Mark there among other smart and kind people), have the resources and the inspiration to learn, share and lead. I already experienced before that the talks worth the least of your time on a conference. If nothing else, stay out on the hallway and talk to someone or play an educating game. This just got reinforced by attending workshop-type conferring. They give you the kind of knowledge you think you will get when you sign up for a talk and gets you into the working and professional mood as a lean coffee formatted session. An even more romantic interlude: it can happen to you that you are afraid of such a workshop/conference, because you lack (or you think you lack, compare to others!) certain technical skills or you are shy, but I can only hope that you will do the first step to come out of that, because immediately at the second step you will see that the world-wide testing community is a very safe-to-fail zone and you share the same kind of problems, worries and wins with many. Probably not the most interesting part of such posts are the chronological story of what happened on the workshops, so I’ll try to save you from much more, but I really enjoyed Maria Kedemo’s testability workshop (which I was looking forward after her CAST talk on the very subject: https://www.youtube.com/watch?v=_VR8naRfzK8), where we worked with two simple and powerful definitions (testing=gaining information, testability=how easy is something to test), fought over having the box that were handed to the teams (hence, availability is part of testability) and thanks to Stephan’s (https://twitter.com/S_2K) smart remark we realized we like to blame project circumstances more than ourselves when it comes to testability after we put our sticky notes with our pain points on them on Maria’s and Ben Kelly’s ever-evolving model (http://testjutsu.com/2016/06/dimensions-of-testability/ – by putting much of that on the Project and not on the Tester side). The day ended with an ultra-social session by Dan Ashby and Tony himself where we muscled ourselves through the possible definitions of coaching, mentoring and teaching (was there a fourth one? ), practiced active listening and teamwork through games. We call them soft skills, but remember that they are harder to learn! Here is a link (http://dancedwiththesoftware.blogspot.hu/2016/06/presentations-and-materials-from-london.html) to Tony’s post where you will find all the resources that has been shared by facilitators this year. This event almost made London look like a warm and welcoming place! #ltgworkshops for 2016 have just passed. There are some photos if you'd like to have a look. Questions are powerful. Learn to use them.